TV shows very easily become victims of their own success. Lost, for example, suffered a severely disappointing second season following its impressive debut and it was a long time before the show got back on track halfway through the third year. Similarly, Battlestar Galactica has come in for a lot of flak for its third season. Heroes, having emerged onto the scene firing on all cylinders last year, was widely anticipated to avoid the same mistakes these other shows had made. The show's ability to set up a mystery and then resolve it just a few episodes later and its use of short-term story arcs supporting a much larger narrative would seem to be able to support many different kinds of stories and characters, and as a result the second season was widely anticipated as one of the highlights of the 2007-08 season. Things get off to an intriguing start. It's four months since the events of the Season 1 finale. Peter Petrelli is missing, presumed vapourised, but his brother Nathan is still alive and well (it isn't explained how, at least not yet). At first it appears that other characters have gone back to their old lives, but gradually it becomes clear that several of the existing heroes have formed a conspiracy to bring down the company which caused so much trouble for them last year. At the same time, several new heroes are introduced and a lengthy subplot takes us to feudal Japan, where Hiro has inadvertantly thrown history off balance by his interference and is working hard to restore the proper timeline. All of this sounds fine, but in practice Season 2 of Heroes opens far too slowly and far too quietly. A lot of time is spent on new characters who are not especially compelling (despite some great ideas for their powers) and some established characters have all but disappeared. The writers also seem to delight in being obtuse for the sake of it, as it's not until eight weeks in that we finally find out what happened after the events of the Season 1 finale. As when Battlestar Galactica did this in its third season, it's built up to be a huge revelatory episode which doesn't tell us anything that couldn't have been explained verbally in about five minutes. That isn't to say the actors are doing a bad job or the story itself isn't compelling, merely that the pacing is seriously off this year. The major threat the heroes have to avert isn't introduced until quite late in the day (the seventh episode, in fact) and the misdirection games that are played about the identity of the main villain only serve to make it blatantly obvious who the main villain is before he turns up. There are also several seriously unconvincing romances and some bluescreen work which is utterly atrocious. Things pick up after the eighth episode. With an identified villain and goal, things kick into gear and some of the intensity of late Season 1 returns. We also see how the new heroes fit into the overall story arc a little better. But just as things get going, they suddenly stop again. Thanks to the American writer's strike, Season 2 ends with the eleventh episode. Although a reasonable job is done of making this an end-of-season finale, there are still some major plot elements left unexplained and unresolved, and the introduction of a deus ex machina plot device in the form of 'magic blood' that can heal anyone of any trauma, even death, leeches a lot of suspense from the Season 2 cliffhanger ending. There is no denying that Heroes remains watchable, but the second season falls distinctly flat when compared to the first with some very poor writing decisions made. Whilst still enjoyable, the second season is something of a letdown when compared to the first. When Heroes returns, I hope the producers learn from their mistakes and can come up with something more impressive. 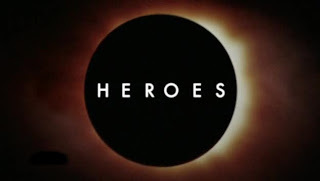 Heroes, Season 2 (***) will be released on DVD some time in 2008. The fate of the latter half of the season seems unclear at the moment, but most likely it will be held back until late 2008 and will now serve as the opening half of Season 3. I'm still waiting for the second series in the UK. God, only 11 episodes in that series. Oh no! I really enjoyed the first series! Terry Pratchett diagnosed with serious illness.